Technology has revolutionised the way we read. Take for example the Kindle E-reader. It is one of the greatest inventions of the 21st century. The convenience of having not only one, but several books stored on your phone means you can literally carry your library in your pocket! But let’s face it. Some books can’t be replaced by a touch screen. Nor can the experience of leafing through the pages of a coffee table book and drawing inspiration from those beautiful full spread glossy images… Pictures are not just for kids! To celebrate ethnic jewellery books, we’re sharing some our favourites featuring jewellery from around the world. This is one of the primary ways in which we learn more about the back story, cultural significance and origins of the styles of pieces that we use in our creations. We hope they’ll captivate you as much as they inspire us. 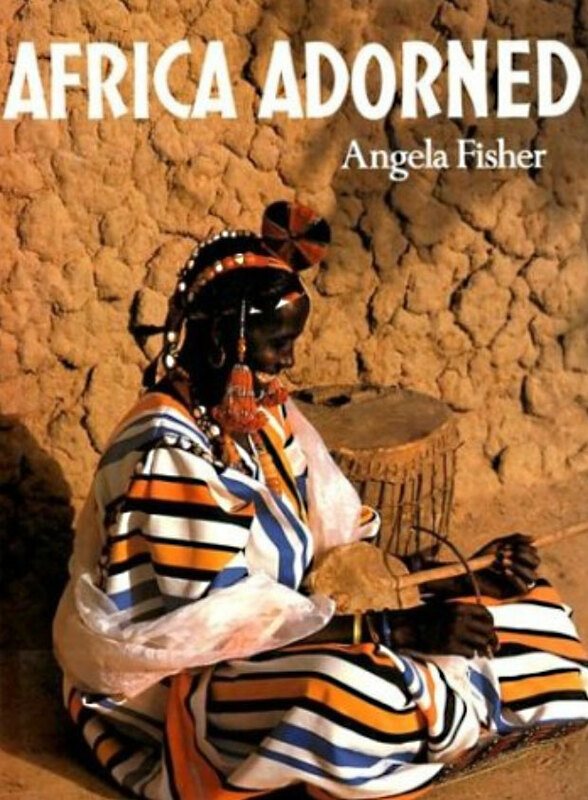 AFRICA ADORNED, Angela Fisher, 1984. This personal favourite showcases tribal, ethnic and national African body decoration at its most striking and proud, and discusses the religious and cultural significance of African ornament. Topics covered include: East Africa – The Body As Art; Equatorial – Treasures and Trade ; Old Africa – Pockets Of Ancient Tradition ; The Savannah – Dictates Of The Desert ; The Maghreb – A Natural Flamboyance ; The Horn – Links With The East. If you’re looking to acquire your own hardcopy, check on Amazon regularly as copies become available from time to time. ETHNIC JEWELLERY AND ADORNMENT, Truss Daalder and Jeremy Daalder, 2010. This more recently produced book on the topic contains an elaborate, informative text and 704 beautiful photographs of adornment from many parts of the world, ranging from Aboriginal Australia to Africa. 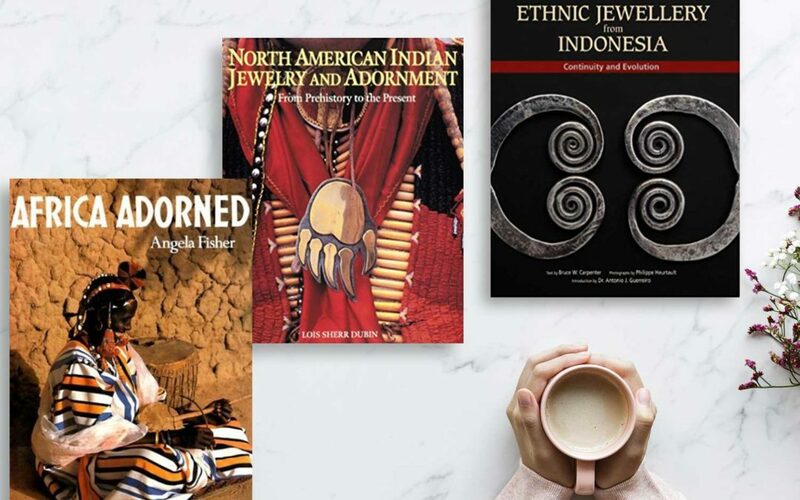 Find out more about the authors who are avid collectors of ethnic jewellery and their fantastic curation here. 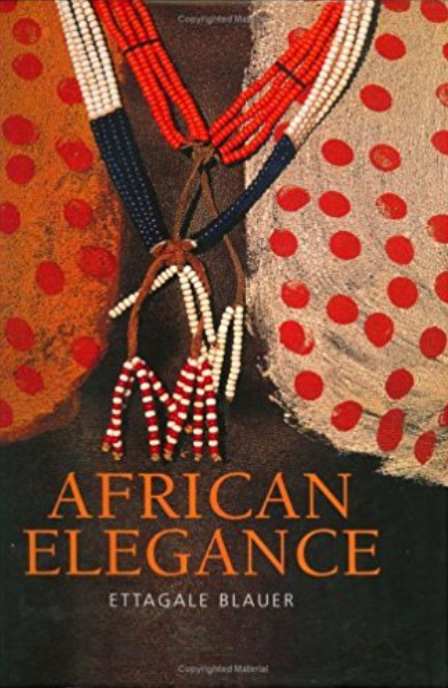 AFRICAN ELEGANCE, Ettagale Blauer, 1999. A superb photographic record of Africa’s material cultures. This lavishly illustrated volume explores Africa’s rich traditions of crafts and decorative arts. Concentrating on Africa south of the Sahara, this highlights the jewellery, beadwork, textiles, masks, leatherwork, stone carving and metalwork of a wide variety of cultures. And if you’re looking for a statement piece of jewellery for yourself, take a look at our Turkana to Timbuktu collection, which fuses beads and artefacts from around the African continent. ASIAN JEWELLERY: ETHNIC RINGS, BRACELETS NECKLACES, EARRINGS, BELTS, HEAD ORNAMENTS, Berenice Geoffroy-Schneiter, 2012. 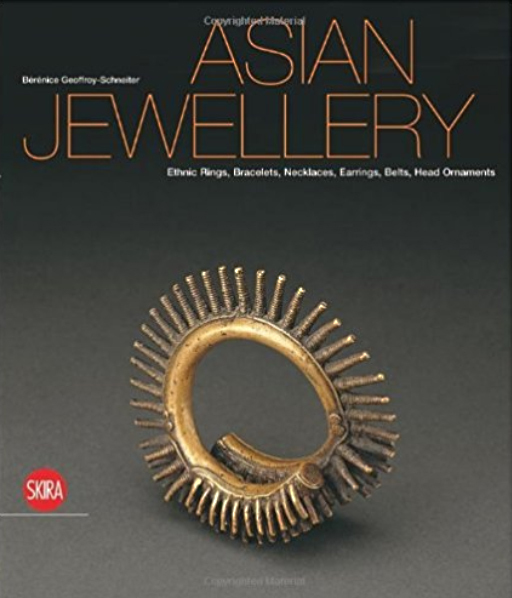 The ultimate reference book on the ethnic jewellery of Asian peoples. It begins with prehistory and continuing into the 20th century with the works of contemporary designers. Ivory, beads, leather, shells, enamel work, precious metals, and stones are illustrated throughout. Pieces chosen for their exceptional quality and historical importance, through wonderfully composed photographs, come to life here. It is rare for jewellery to have a solely aesthetic purpose, for above all it is anchored in the social, religious and political contexts that lend it meaning. 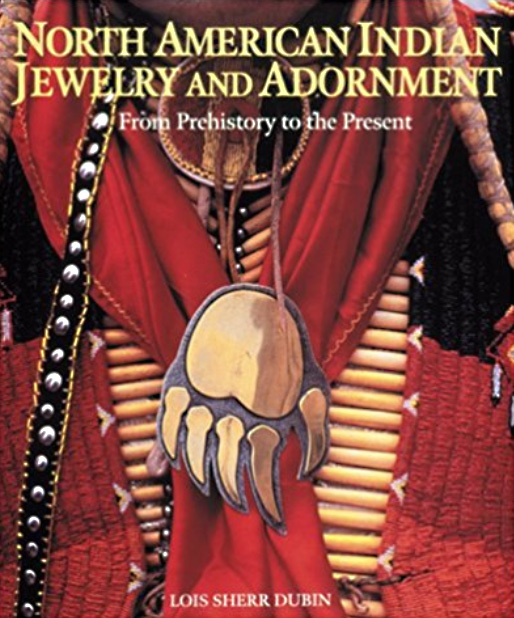 Differing attitudes are explained by the function assigned to jewellery in the traditional societies from which the examples in the book are drawn. NORTH AMERICAN INDIAN JEWELRY AND ADORNMENT, Lois Sherr Dubin, 1999. Adornment – jewellery, beadwork and ceremonial regalia – is a defining element of cultural expression for North American Indians. This study is based on a decade of research and interviews with elders and artists, excerpts from which are presented in the book, and extends in scope from the Arctic Circle to northern Mexico, and from the Atlantic to the Pacific. Thousands of distinctive objects are reproduced, among them Southwestern turquoise jewellery, Plains beadwork, “carved” metal bracelets from the Northwest, quill and moose-hair work from the Subarctic, etched horn jewellery from northern California, and engraved mussel-shell gorgets from Oklahoma and the Southeast. 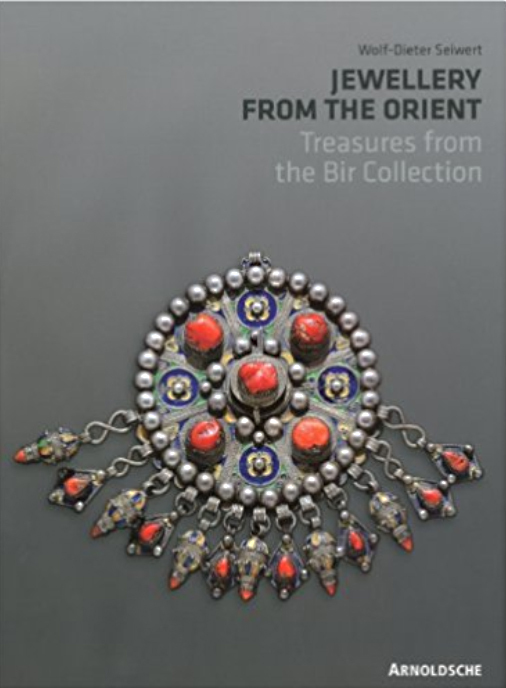 JEWELLERY FROM THE ORIENT: TREASURES FROM THE DR. BIR COLLECTION, Wold-Dieter Seiwert, 2010. The Dr. Bir Collection comprising more than 3,000 pieces of jewellery is on loan to the Museum fr Vlkerkunde Leipzig. It is one of the largest private collections of oriental jewellery in existence. A selection of pieces from it are published here for the first time. 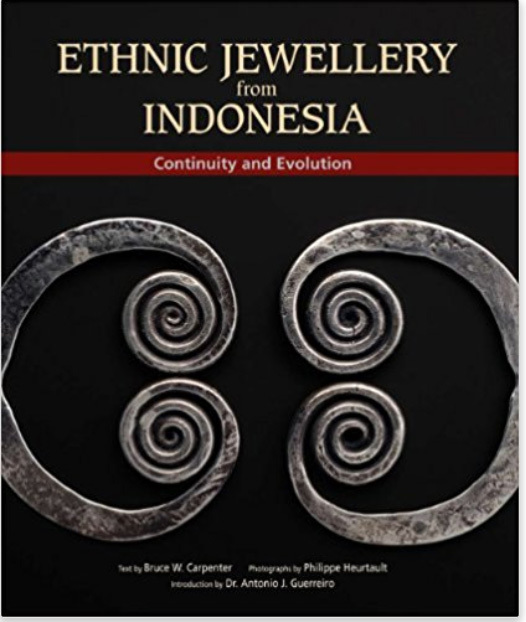 ETHNIC JEWELLERY FROM INDONESIA: CONTINUITY AND EVOLUTION, Bruce Carpenter & Philippe Heurtault, 2012. This book explores the depth and breadth of an ancient and magnificent tradition – the little known visual power and beauty of the body adornments used by the myriad peoples of Indonesia’s outer islands, including Sumatra, Borneo, Sulawesi, Sumba and Maluku. 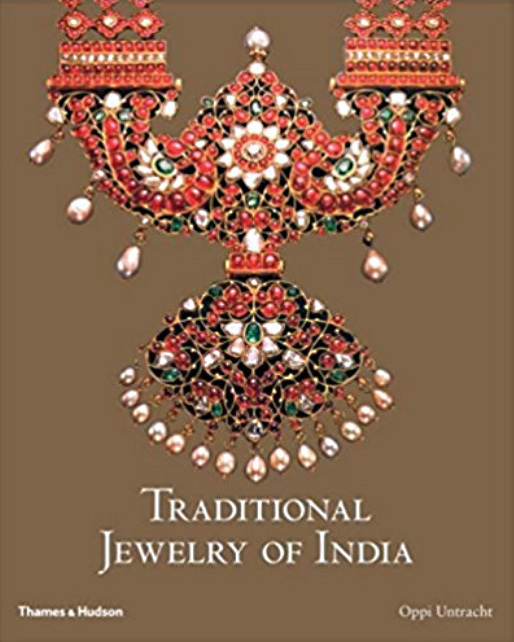 It provides information on the origin, meaning and purpose of the jewellery items, as well as unique insights into the people who crafted and wore the jewellery for ritual or ceremonial functions. It is a testimony to the greatness of a fast-disappearing Indonesian tradition. An oldie but a goodie. 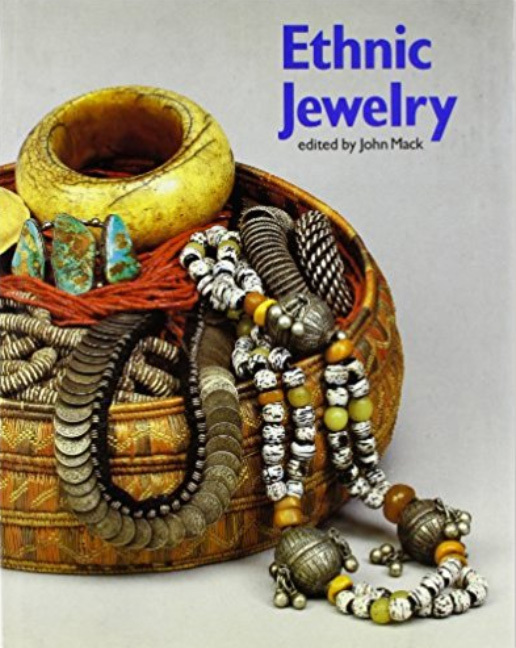 This book profiles a wide variety of ethnic jewellery from around the world, including African beadwork, American Indian silver, Far Eastern jade, and others, detailing how it is made and worn, its relation to the culture and more. Browse our Pangaea Collection to see some stunning examples of jewellery that fuses adornment from different cultures. JEWELRY OF NEPAL, Hannelore Gabriel, 1999. In many parts of Asia, folk jewellery, the most beautiful and dazzling expression of material culture, has disappeared in the wake of modernisation. In Nepal, however, where the formidable Himalayas have formed a barrier to outsiders and their influences for centuries, native jewellery traditions have remained alive and strong until very recently. 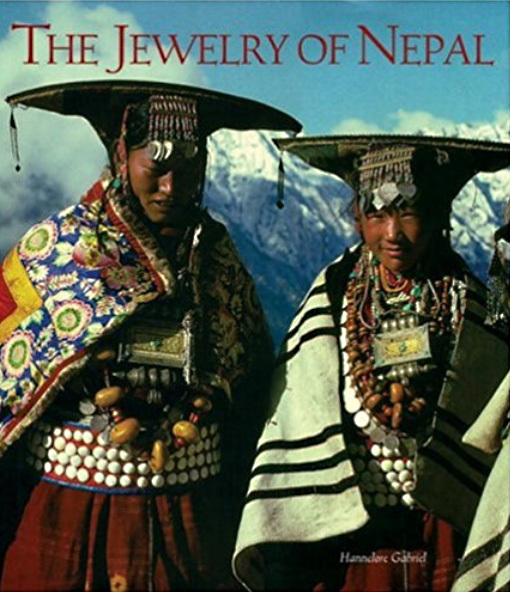 Jewellery in Nepal is worn for decorative, talismanic, and investment purposes. Lavish pieces may be donned to celebrate marriage or promote fertility, while amulets are worn to ward off baleful influences. Gold jewellery is abundant and its many forms are expressed in unusual sizes; silver, readily available in coin form, is freely used, as are beads of glass, coral, turquoise, amber, and agate. The pieces are dramatic in design and brilliant in workmanship. 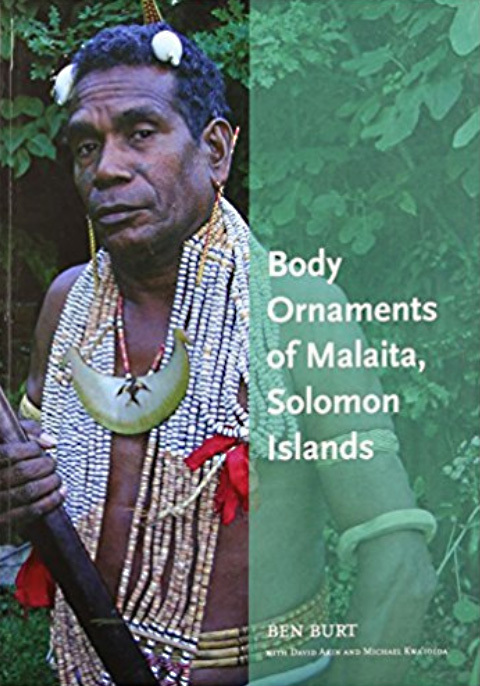 BODY ORNAMENTS OF KWARA’AE AND MALAITA: A VANISHING ARTISTIC TRADITION OF SOLOMON ISLANDS (ANTHROPOLOGY), Ben Burt, 2009. The Kwara’ae and other peoples of Malaita island in Solomon Islands once dressed for special occasions in ornaments of glistening white shell and pearl shell, intricately carved turtle shell, strings and straps of shell money-beads, and combs and bands patterned with colourful plant fibres. Today these ornaments are easier to find in museums around the world than in Malaita, but the recollections of Kwara’ae elders help us to understand how and why they were once made and worn. This book reviews the significance of body ornaments in Kwara’ae society, and the history of their rejection under the changing circumstances of colonial rule and Christian conversion. 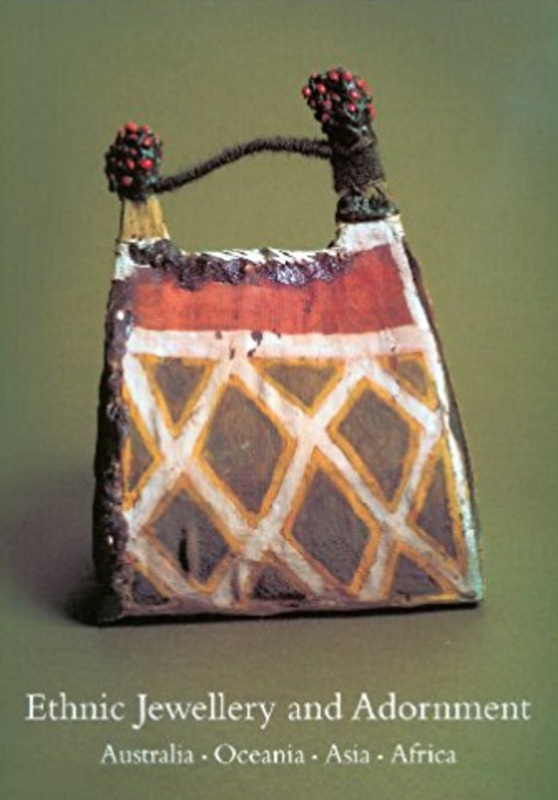 It describes the materials, techniques, and relationships by which ornaments were produced and exchanged, and catalogs the great variety of ornaments worn throughout Malaita. A vanishing tradition is documented here for the interest of Solomon Islanders as well as all those who appreciate Pacific Islanders’ arts. TRADITIONAL JEWELRY OF INDIA, Oppi Untracht, 2008. This book covers every area of the country, from sophisticated urban enclaves to isolated ethnic communities. Beginning with Paleothic body ornaments, the author goes on to identify the emergence of major traditional forms, such as amulets, rosaries, marriage ornaments, temple jewellery, theatrical jewellery, and adornment for animals. This comprehensive survey combines a sumptuous display and documentation of hundreds of pieces of jewellery with an illuminating discussion of how myth, religion, social structure, economics, and politics have influenced jewellery design in India. Looking to acquire any of these ethnic jewellery books? Most of them are available on Amazon or be inspired to explore your closest book shop.